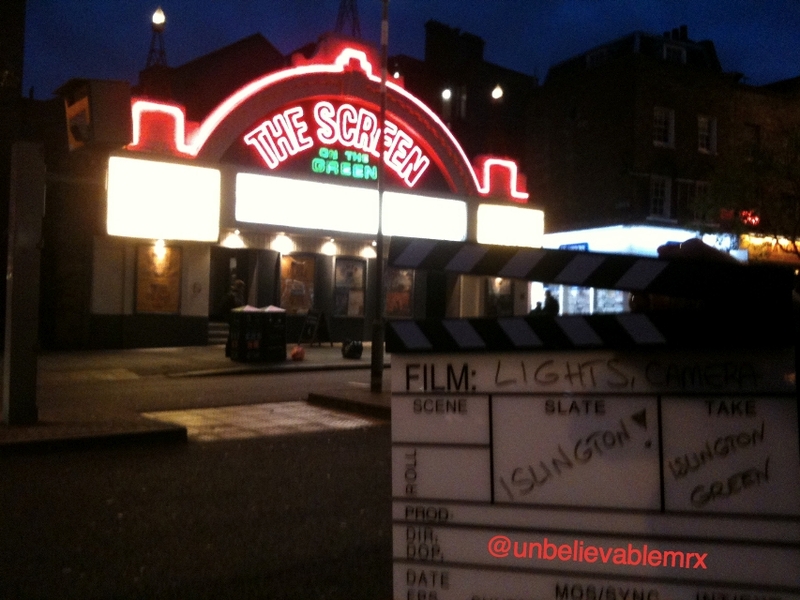 Islington Green: The Screen on the Green “In Cinemas NOW” | Lights, Camera…Islington! This week, The Screen on the Green cinema in Islington is celebrating a very, very special birthday. It is 100 years since the Pesaresi brothers opened this purpose-built cinema after having acquired and demolished a few old shops. The Screen on the Green has changed hands a few times along the way, seen a few refurbishments, in particular to its auditorium, but its peculiar façade outlined in red neon has survived the years and become a local landmark. To join in the celebrations, I wanted to find out if the cinema has had its 15 minutes of glory. Surely, in its 100 years, and with all the movies filmed in London and Islington, it must have featured in one way or another in a movie. It took some time to go through all my film locations books and usual resources to find one on time for this week’s celebrations but I eventually did. Just Ask for Diamond (1988) is a teenage comedy based on The Falcon’s Malteser, the first book of The Diamond Brothers series published by British novelist and screenwriter Anthony Horowitz. Hopeless Herbert, who goes by the pseudonym of Tim Diamond (Dursely McLinden) works as a private investigator and, thank God for him, lives with his younger and smarter brother Nick (Colin Dale). The movie opens with our heroes in a desperate situation: cold, starving, no money left and waiting for that ever-elusive first client. Out of nowhere comes the mysterious Johnny Naples (José René Ruiz) to leave a package. They must not open it and must take care of it for 2 to 3 days in return for… £200! With things looking up, the two brothers decide to go to the movies and head off to…The Screen on the Green! 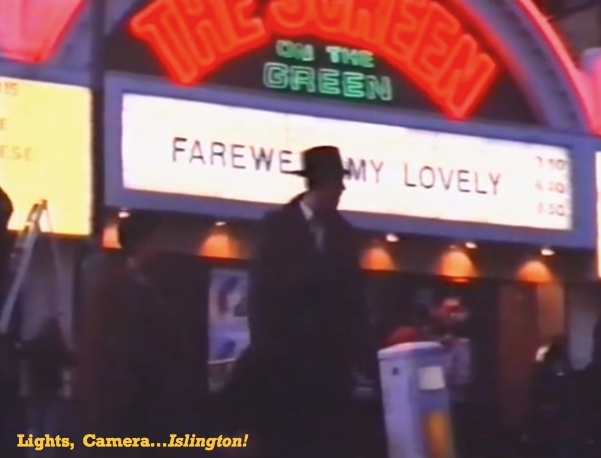 Once the movie has ended, they can be seen leaving the cinema and crossing Upper Street towards Islington Green with the familiar façade all lit up behind them. If you do know of any other film featuring the cinema please do get in touch! In the meantime, let’s all raise our glasses to The Screen on The Green and to the next 100 years!